Essex Road Station Dalston Junction Station Dalston Kingsland Station Angel Station Old street station Highbury and Islington Station. 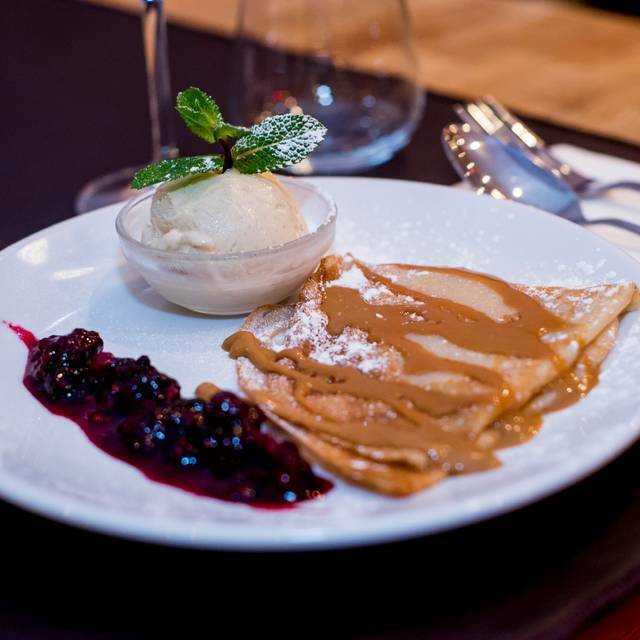 2K steak house is happy to present its first restaurant to a vibrant area such as Essex Road. 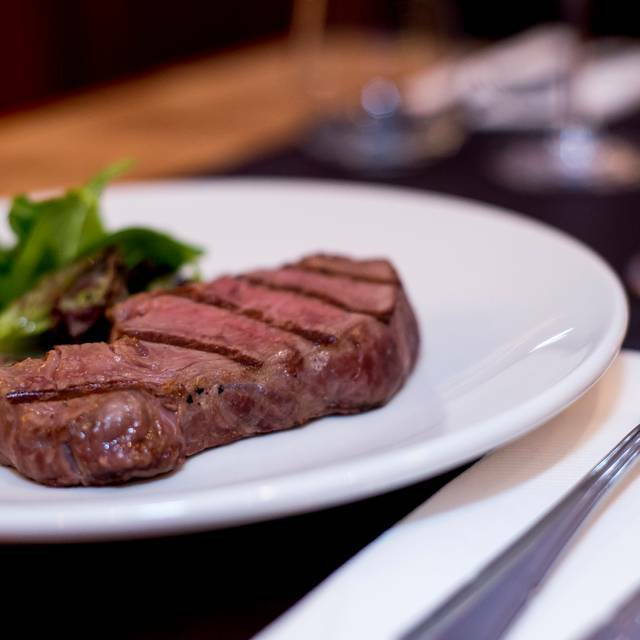 Located between Angel,Old Street and Dalston we are determined to bring the best Argentine steak and a great selection of Wines. A supercharged Bloody Mary with vodka, lemon juice and our Chimichurry & Mustard spice mix! Delicious steak, friendly chef and staff. It's a great local option but wouldn't call it a destination restaurant. Made to feel incredibly welcome. The star of the show was obviously the steak.. had two plates of sharing cuts between the four of us, and couldn’t fault it. It’s was nice but small, the food was great and the service was even better. Lack of ambience but great value for what you eat. Amazing cuts, totally worth it. Must try! Quiet and very nice portions of meat! Another amazing meal from 2K Steakhouse, with the best steak chef in London at the helm! Steak lovers have to try their menu. Excellent steak - fresh from Argentian. Best I have tasted in London. good parillada and friendly service. A nice neighbourhood restaurant. Although the meat was ok, it was not as good as I've had at other Argentinian restaurants like Buen Ayre (Broadway market). 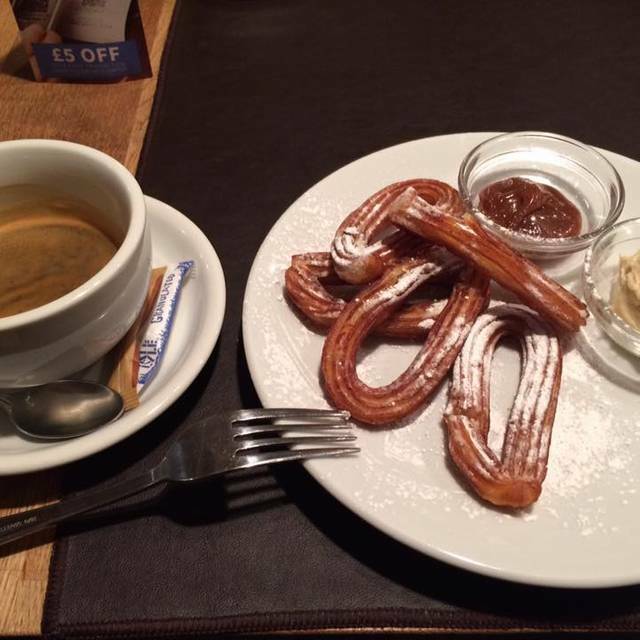 Wonderful churros and great red wine ! 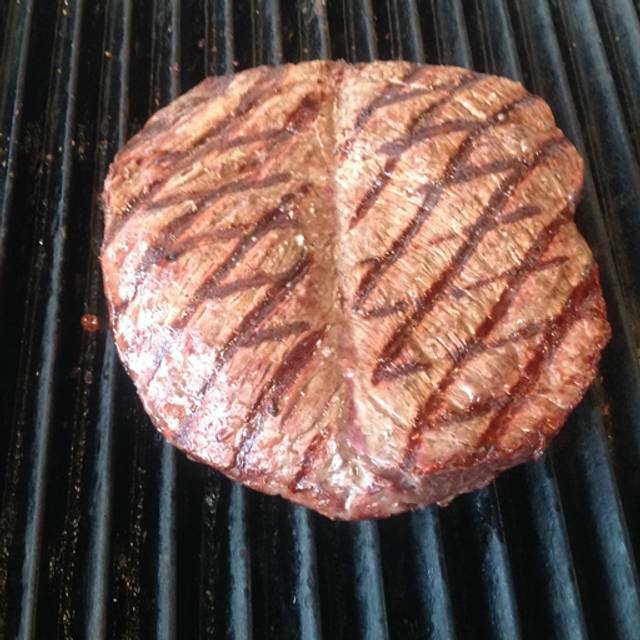 Steaks are good to perfection here !! Can’t wait to eat there again ! The best steak in Islington - hands down and have tried them all over the past 20!years. It’s always a pleasure going to 2k Steak House and have been doing so for many years. Service is always good to excellent, food is always perfect., exceptional value for the high quality of food. Try the ribeye , sausages, mushrooms and just about anything on the menu. Chef John knows his stuff at the grill and a great character! Great food and great service. The best steak ever !!! We all loved the food (from the gnocchi starter to the great steaks and the cheesecake). Will definitely return! Even though the 2K Steakhouse was a bit more of a walk from Angel than i had thought it was very much worth it. We went quite early, so not really very busy at all but that was no problem. The chef was a really nice and welcoming bloke so we got a choice of table and had no problem ordering. We went for the 1kg of steak with chips and it was worth the £40. There feels like there has been a distinct lack of good value offers on toptable lately, so it was great to find one that is. 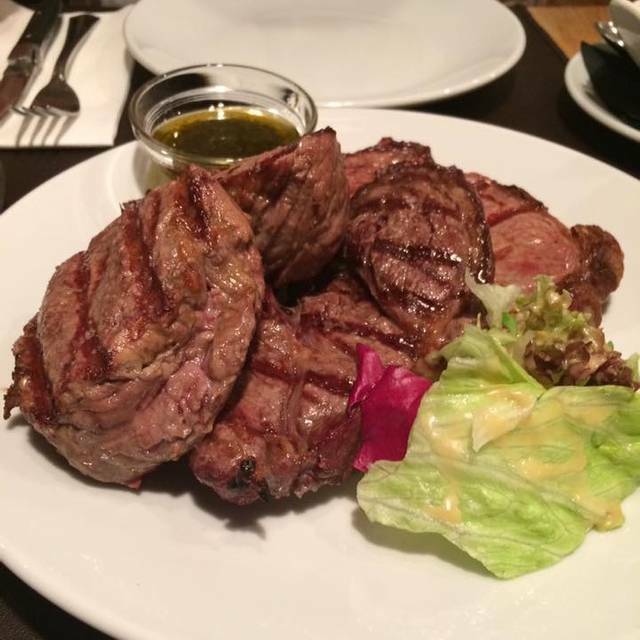 We were offered to have the steak in two 500g pieces so it could be cooked differently, that was a plus. The two pieces of steaks were big, one looked like a bike saddle, no steak knives no problem, both pieces were soft and easy to cut and the skin on chips were very nice. The offers suggests unlimited chips but to be honest the bowl we were given was more than enough, so no need at all for round 2. 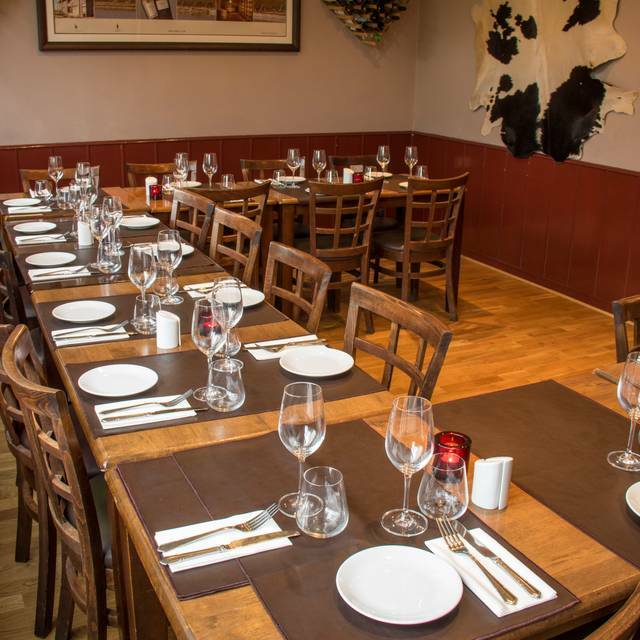 Overall a top offer, good steaks (if you have one job as a steakhouse youve got to do it right), friendly staff and left feeling satisfied, this one is worth a go and the walk. Magnificent steak!!!!! 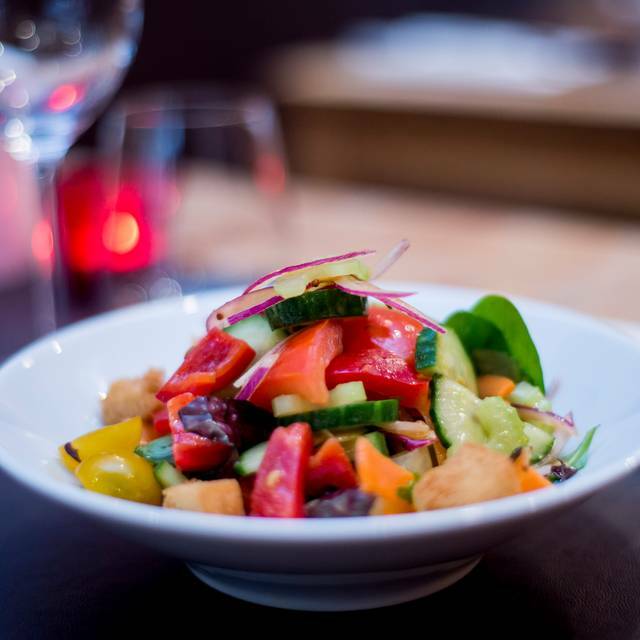 Very tasty and fresh, cooked to perfection and with tantalising taste. Very friendly and attentive staff. Definitely will be back! Food and staff were great but the ambience not. It was quiet but even so, the decor wasn't very good. Would return again though as great steaks and good location for those who live nearby. 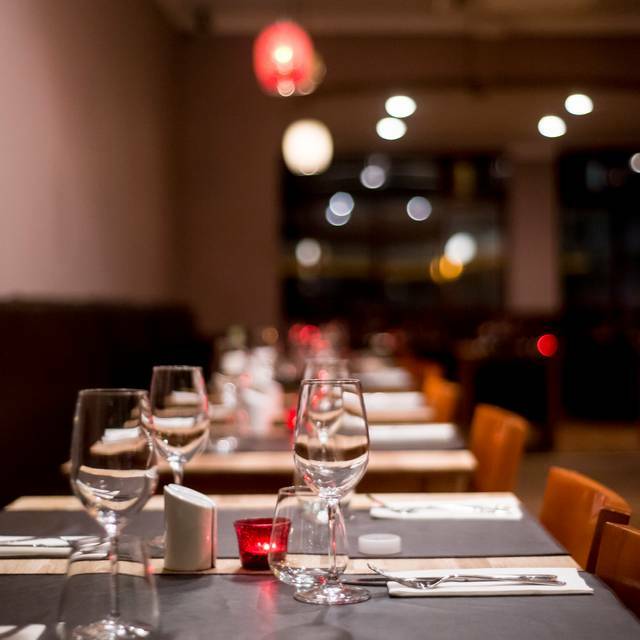 The service was fantastic, really relaxed atmosphere, and unbelievably good food. Restaurant could do with a refurb. Lacked atmosphere, only 2 other couples in when we went at 7:30pm on a Saturday night. The beef filled pasty parcels I had for starter were nice and good value at about £5. My sirloin steak was also very good, but unfortunately the sweet potato fries with sausage (there were 3 small slices of sausage in there) were sloppy and unpleasant. Very poor salad garnish on everything, consisting of a few pieces of lettuce. The lamb chops my girlfriend had were not very nice and she was ill as soon as we got home. Service was fine and staff very pleasant. Awful. They misplaced our order. We waited forever. Then they served the food Cold. With so many Argentinian Steak Houses around nowadays, this one simply does not cut the ice. We arrived 15 mins early to a deserted, overlit space reminiscent of a boarding school refectory. There was nothing new or exciting on the menu, and that which was served was mediocre at best. Service was slapdash and perfunctory and with no alcohol or dessert the almost £100 bill for 2 seemed steep . 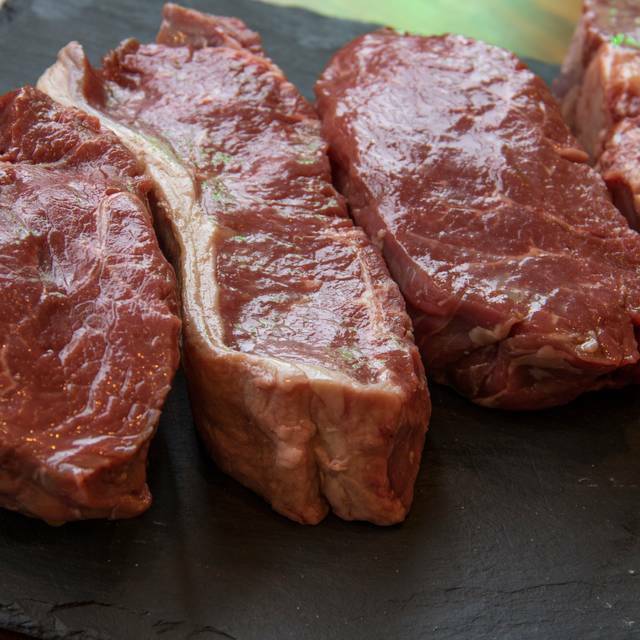 The quality of the meat is superb and the chef really knows how to cook a great steak! Absolutely delicious! Starters and dessert were good too, and there are some great Argentinian wines on offer. Will definitely come back here! Really enjoyed the relaxed atmosphere. The ribeye and the lomo steaks were tender and very well seasoned. Wine selection was great. Another outstanding meal from the team at 2K Steakhouse - 5 stars all around and the best steak in London. Really lovely food and staff, the steak was delicious one of the tastiest I had in a long time. The lighting is very strong so for a romantic meal it was not very romantic. But the food made up for it. Fantastic dining experience was had by me and my wife. The chef was attentive to the detail of the food and it was so wonderful to have steak that melts in your mouth the way that it did here. Last Saturday we we're looking for a proper steakhouse. Bumped into this one and shared the 2k sampler. The meat was of very good quality and I was very happy with the choice of Malbec's! Will certainly visit again. 2nd time coming back after me and my boyfriend spent our anniversary there the 1st and was perfect as always, love the steak and the hand cut fries are to die for. Service 6* :) fantastic and will defo be coming back! Nice place with a style. I had a platter of grilled meat and it was really tasty and tender. Empanadas are nice for a starter too for while you wait, since it took some time for meat to arrive but it was totally worth it! Great evening and amazing steaks .... much better than other more famous steak houses ! Good to perfection and well explained. Good value for the excellent quality! Well worth it and we will be back !! Arranged a lunch with my two daughters..both steak lovers. ..after Christmas..starters of beef skewers gorgeously tender and tasty and our sirloin steaks cooked to personal perfection..thank you Chef. Our waiter was attentive and knowledgeable. Good value for money and we will return very soon. Thank you 2k steakhouse for a delicious lunch. Excellent steaks. The 2K platter was special and very filling! Friendly staff. Great food (including dessert -- highly recommend the churros! ), lovely staff, conveniently located near Essex St. train. Would highly recommend! A decent stab at authentic Argentinean steak. Between me and my wife we had a large fillet steak and a good value 680g sampler of 4 different cuts, all of which were juicy, although some could have been stronger tasting. Also a good and unusual wine, which complemented the meal well. The empanadas for starters were well filled but I would leave more room for meat as a preference. Not bad value, especially for those wanting to share some of the sharing plates.